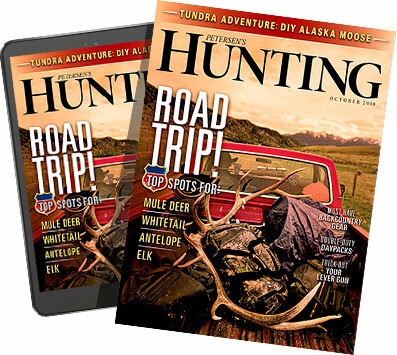 Travel the globe with hosts Craig Boddington, Kevin Steele, David Draper and Kali Parmley as they pursue the world’s most sought-after big game species from the Colorado Rockies to the dark forests of Hungary and just about everywhere in between on Petersen’s Hunting Adventures TV. Featuring high-adrenaline hunts in North America, South America, Africa and Europe. Join their chase for elk, pronghorn, red stag, Eurasian boar, eland, nyala, mule deer, gators, ibex, javalina, predators and more on this season’s exciting new episodes. Kevin Steele is the publisher of Petersen's Hunting and the producer of "Petersen's Hunting Adventures TV". Unarguably one of the most experienced hunters of his generation, Craig Boddington was born in Kansas where his early big game hunting experience included whitetails and then mule deer and antelope in Wyoming and Colorado. An avid hunter and accomplished writer, David Draper has traveled the globe in search of good stories and good food, yet his roots remain firmly planted in the soil of his family's farm on the High Plains of Nebraska. Kali Parmley is the Managing Editor of Petersen's Hunting magazine.